APMFG Fab. 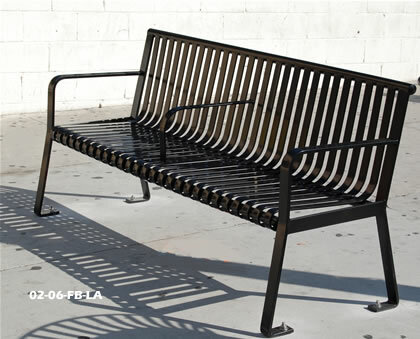 Inc. can build your bench starting at 4 foot up to 8 foot long. Ground to Back height 34 1/2, Seat Back height 20 in., Seat width 17in. Two 2 in. x 1/2 Steel HR Flat Bar Formed Ends 22 in. Powder Coated Zinc Rich Primer with secondary Powder Coat Color.